At the age of 5 I began riding horses when my family moved across the street from a local training facility. There we learned all types of riding from dressage, eventing, vaulting, and even breaking young horses. I began teaching beginner lessons by the age of 12 and continued to break young horses. I purchased a young horse from DG Bar Ranch when I was 16, and trained him through Intermediate 1 and participated in the Region 7 in the North American Young Rider program. While participating in the Young Rider Program I cliniced with Debbie McDonald and Conrad Schumacher, and began training with Willy Arts of DG Bar Ranch. While competing with my horse I was also attending college at University California of Davis, where I earned my bachelors in Animal Science with an emphasis in Equine management. Here I learned about horse management, breeding, training, and equine business. After graduating I expanded my business into the Sacramento area, specializing in starting young horses. In 2007 I purchased a 2 year old gelding (Andiamo by Harlem). I broke and trained Andiamo and qualified and competed in the 2009 Young Horse Championships in Lamplight, IL. I have also trained and competed 3 young mares in their Hannoverian inspections who all received their elite status. Currently training with Willy Arts, I have had to opportunity to learn all aspects of the equine industry and especially the business of young horses. 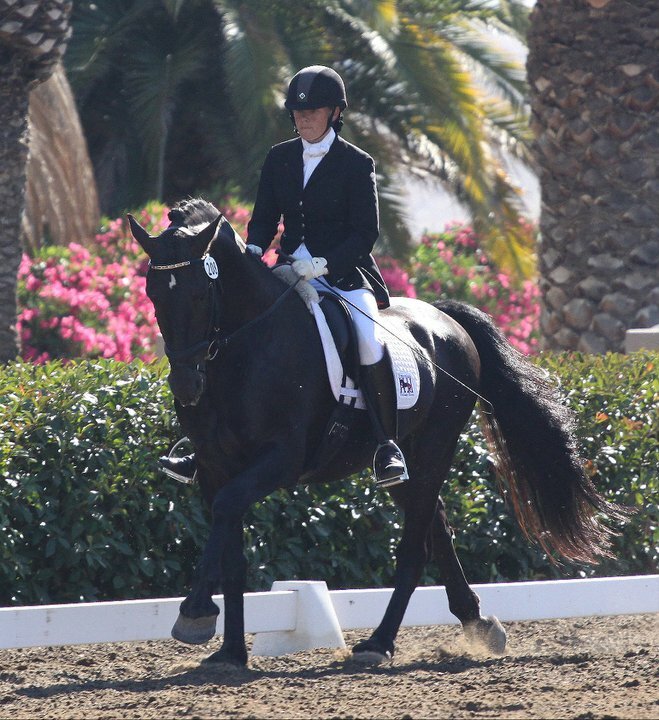 Traveling with him to Holland for the 2010 Stallion Show, and competing all over California on various types and caliber of horses, I have learned various methods to ensure each horse has to best opportunity to perform to its maximum potential.